Chicken is Not the Only Star on the Menu at Roast and Co.
For most, the chicken experience simply extends to cost-effective takeout and the occasional Sunday lunch. 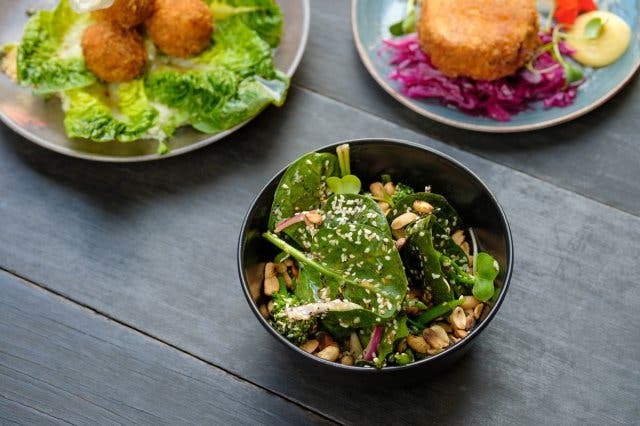 This fairly new rotisserie-style eatery in Cape Town’s CBD is taking this traditional comfort food and turning it into a special eating experience. 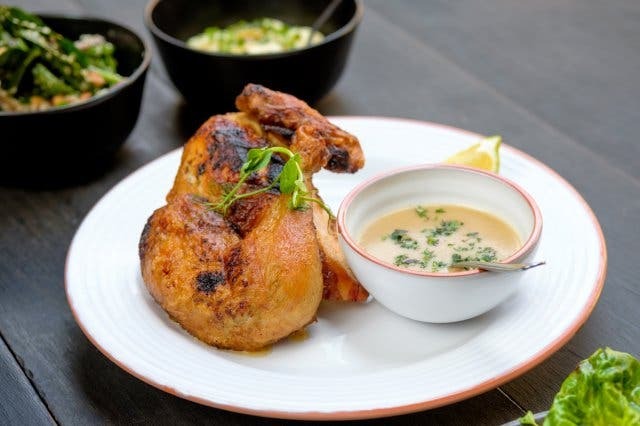 Roast & Co is an upscale chicken eatery that offers a specialised mono menu, like neighbouring restaurant HQ where emphasis is placed on one dish. 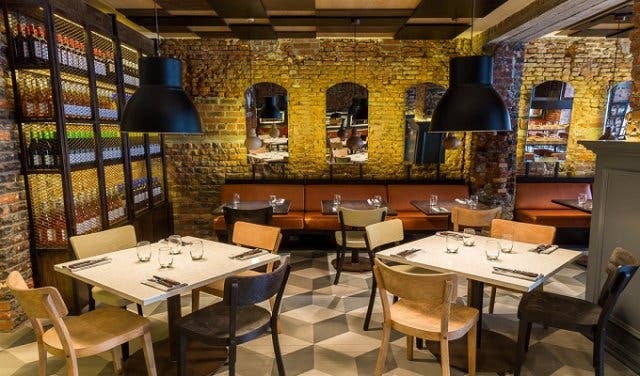 The biggest discovery here is the “to share” menu, a selection of tapas-style dishes which nearly upstages the eatery’s main offering. 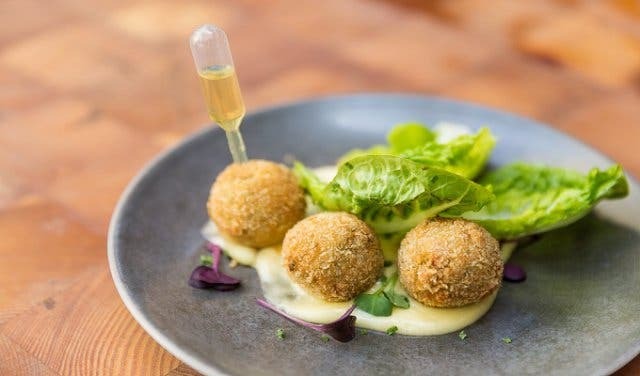 Chicken caesar croquettes are one of the most popular choices on this menu, a deconstruction of chicken caesar salad complete with grana padano (a hard, slow-ripened, semi-fat Italian cheese) and a vial of anchovy oil which comes served inserted into the croquettes. 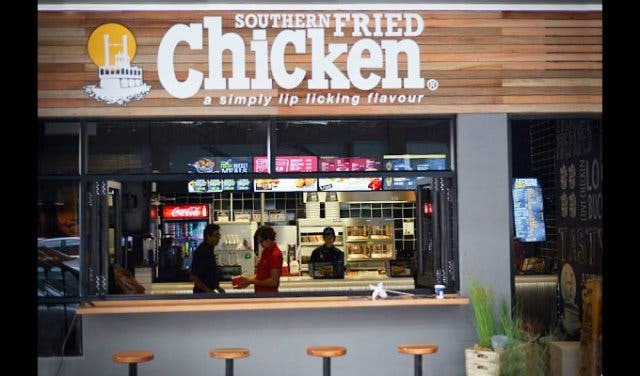 If you’ve come to this rotisserie-style chicken eatery and have brought along vegetarian guests, they’ll be catered for too. A standout performer on the sharing menu is the Mzansi fried mac & cheese – a local take on a classic which features chakalaka salsa, sage and sour cream. In the same breath, the onion bhaji dish is another hit for vegetarians, curry-spiced and served with a herbed yogurt. As Roast & Co.'s name suggests, roast chicken is the star of the show and comes available as quarter, half or full birds. The finer details of the recipe are a closely-guarded secret. However, we know that Roast & Co. is the flagship restaurant partner for the Elgin Free Range Chicken farm. The birds are treated with a custom-made brine solution that gives them a unique flavour and complements Roast & Co’s particular two-phase cooking approach. The meat is given a dose of butter basting before a "low and slow" flame-grill treatment from a specialised convection oven is applied. The proof is in the eating as they say, in this case that’s bang on the money. Served with a house gravy, you’re also given the luxury of three different bottled sauces to accompany the chicken and heighten your new-found entree into the chicken big league. Choose from lemon & herb, mild peri-peri and a zingy hot sauce – but be sure to leave space for sides, because these are a definite must-have when visiting. House-pickled Slaw, Truffle Pap and Farmhouse-style roast potatoes all go down a treat to accompany the roast chicken. When stepping through the Shortmarket Street entrance you’re greeted with an aesthetic inspired by French design and farming traditions, completed by artistic finishes in their fittings. The work of artists such as designer and activist Porky Hefer can be found throughout Roast & Co. – who's calabash lamps hang over interior tables. The exterior courtyard is of historical importance. Here you'll find the southern hemisphere’s oldest grape-bearing vine – from which wine is still being made today. The square dates back to the 1780’s along with the adjacent Cape Heritage Hotel. 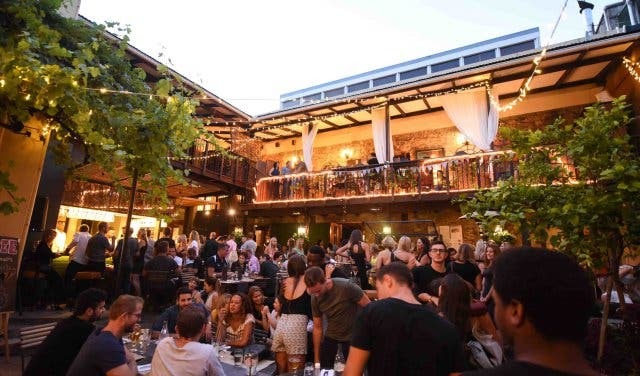 Having been a Cape Town hot spot for after-work drinks around a decade ago, the picturesque (and wind free) courtyard has been witnessing a revival in recent months since the chicken eatery’s opening in September 2017. A dedicated “build your own” gin cart is a terrific addition to the courtyard, which includes a selection of local and international juniper-based spirits like Tanqueray and Inveroche. Here you’re able to mix and match to perfect your ideal G&T with various tonics, bitters, herbs and fruits on offer. 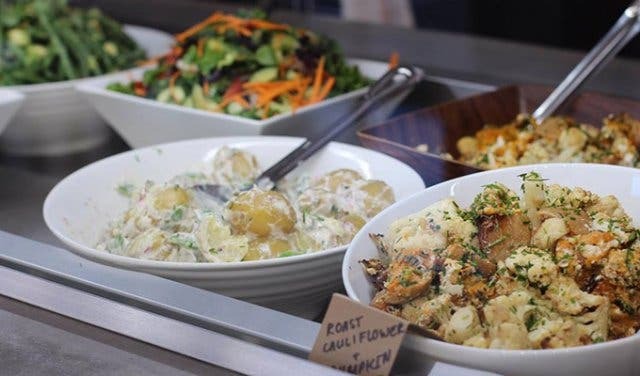 But if you’ve visited Roast & Co you’d know that there are actually some special surprises on the menu – which go well beyond their obviously spectacular roast chicken. Regarded as one of Cape Town’s newer upscale eateries, there’s clearly more than top-notch chicken to be discovered at Roast & Co. A growing crowd has been opting for drinks in the courtyard, with weekday 2-for-1 after-work specials. Meanwhile, Saturday afternoons are a bustling affair with live music and a great crowd. 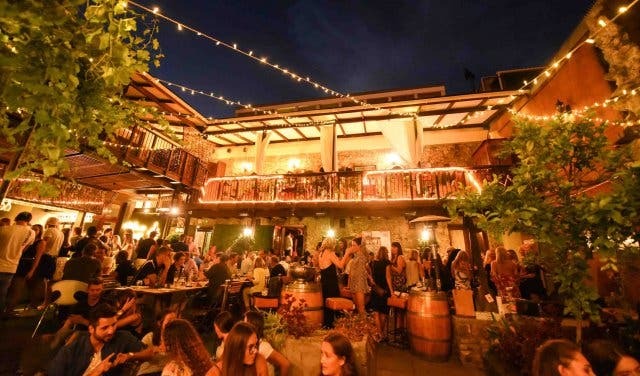 For more exciting spots in and around the Mother City discover our list of hotspots here.